Space Beers Production Diary – Page 3 – "Where beer is the only hope for survival"
The audience received a gift during our “Beer, Aliens, and Blockchain” talk in Amsterdam. They went home with 500 Space Beers Tokens! Well said, Jack! Though we’d go one step further and say it’s the best damn drink in the universe. 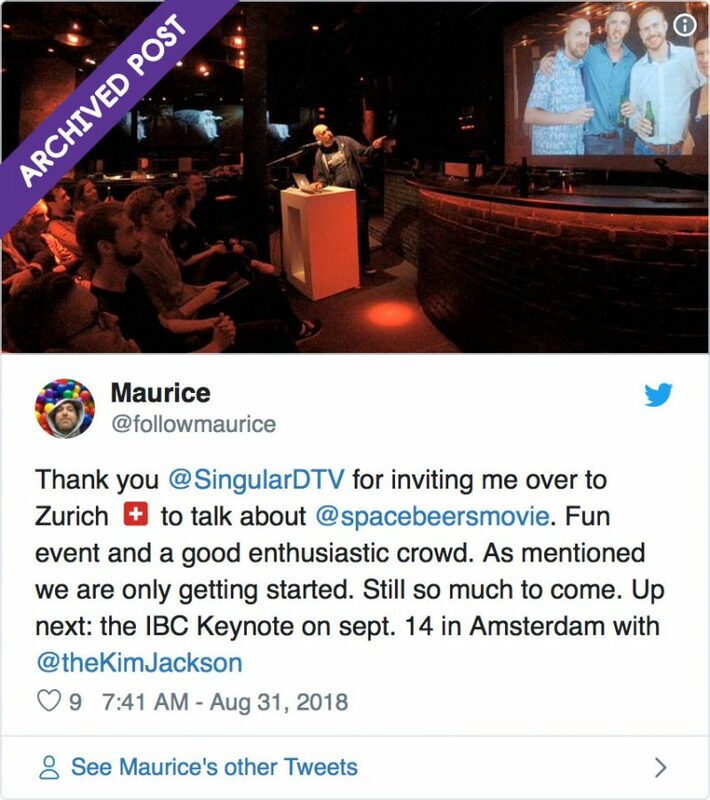 Last spotted on stage at Amsterdam’s IBC with SingularDTV’s Kim Jackson and a heavy drinking animatronic fish (totally normal), he talked extensively about our mission, our journey so far with blockchain, and what to expect from us in the near future (hint: live action films, a documentary and more beer!). But he’s not slowing down yet, and will tour his talk with SingularDTV far and wide. 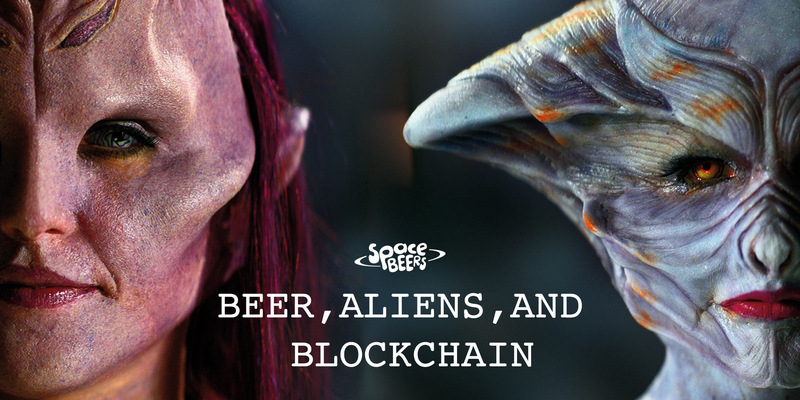 If you’re in Amsterdam on October 18th you can catch Maurice’s “Beer, Aliens, and Blockchain” talk, followed by a Q&A session, at Public Space. Tickets are on sale now and we would love to grab a Space Monkey beer with you and answer your Space Beers questions. Click here to get tickets. And stay tuned! More exciting news coming soon. Who wants to be an extra? !